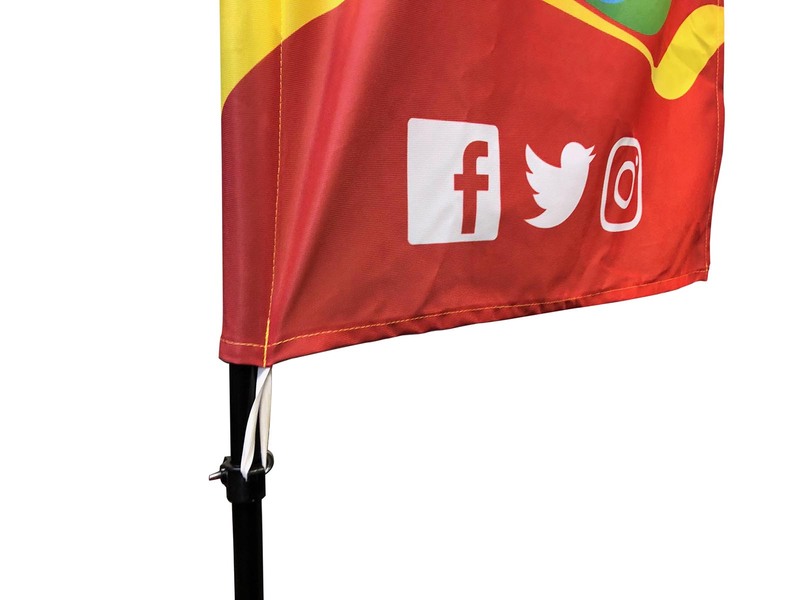 Feather Flags Printing. 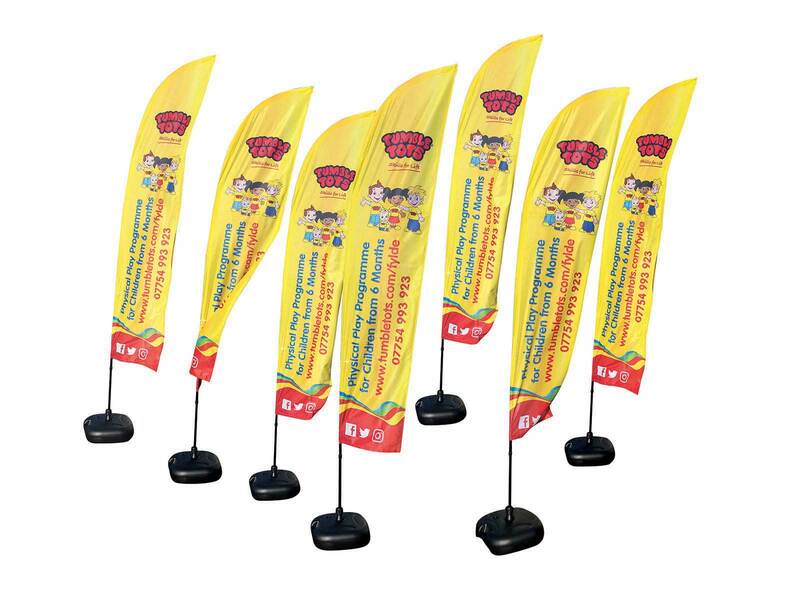 Banner World produce stunning custom feather flags and teardrop flags. 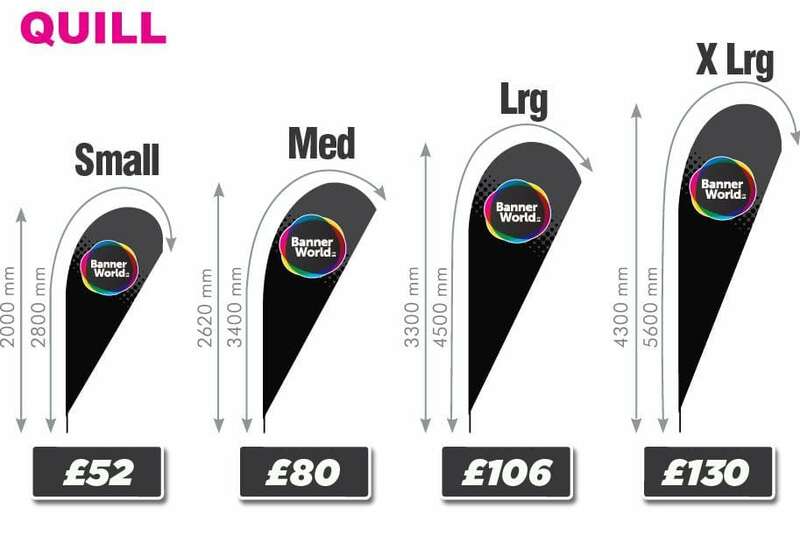 Our prices simply cannot be beaten for feather flags of this quality. 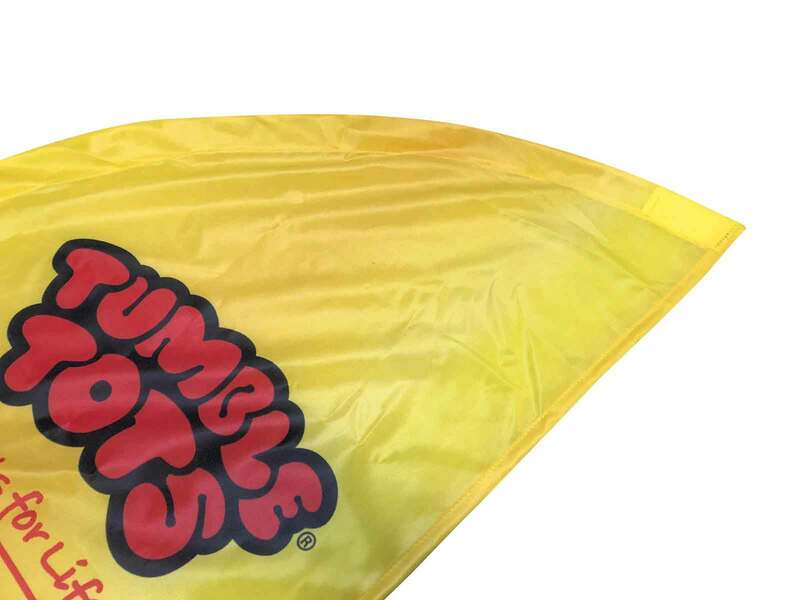 We supply our printed custom flags to the trade throughout the United Kingdom and the World. 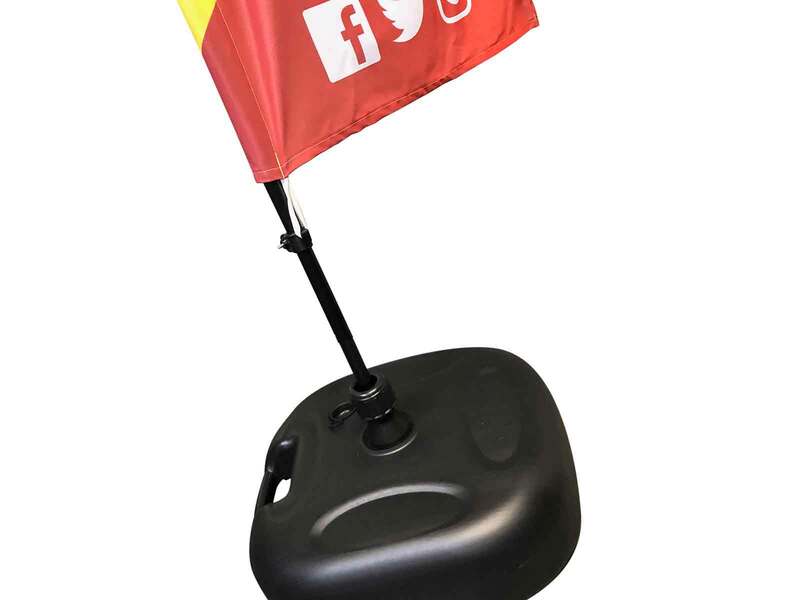 Priced from just £52.00 plus your choice of base. 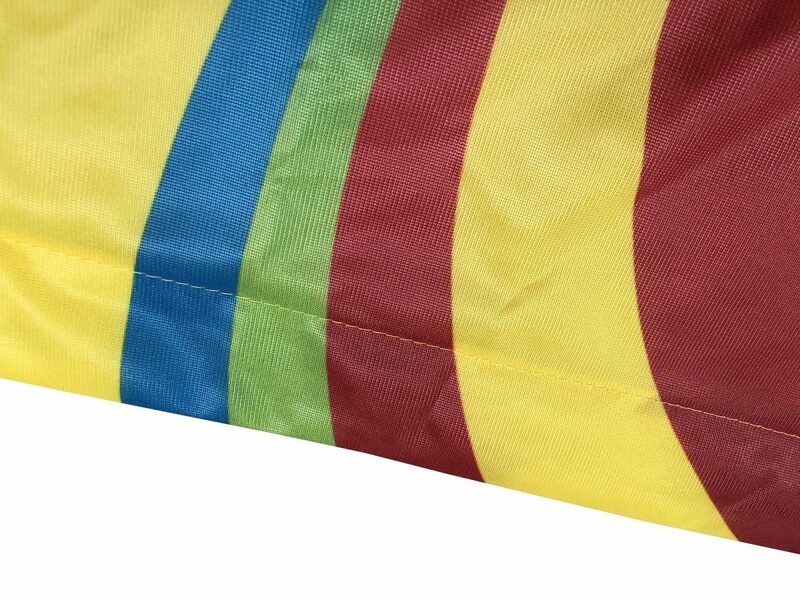 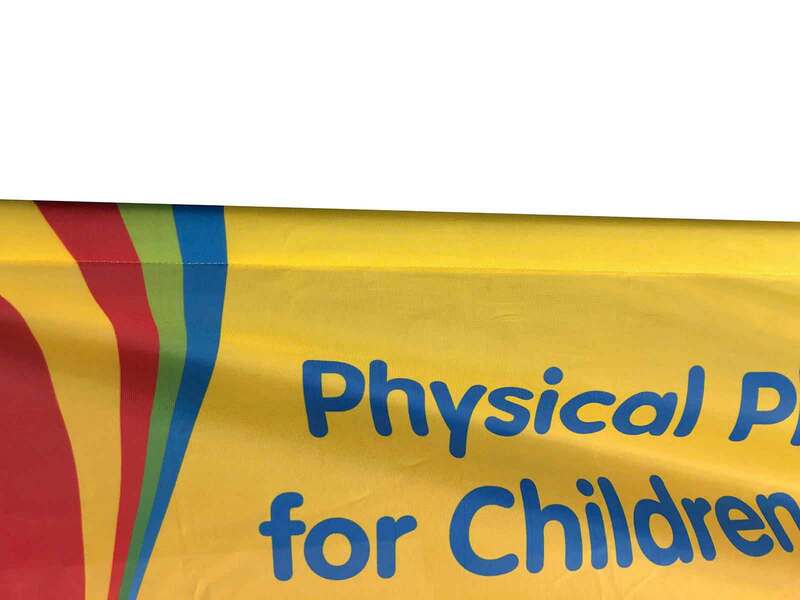 Using the dye sublimation print process our flags burst out with vibrant colour, ensuring they are seen and noticed. 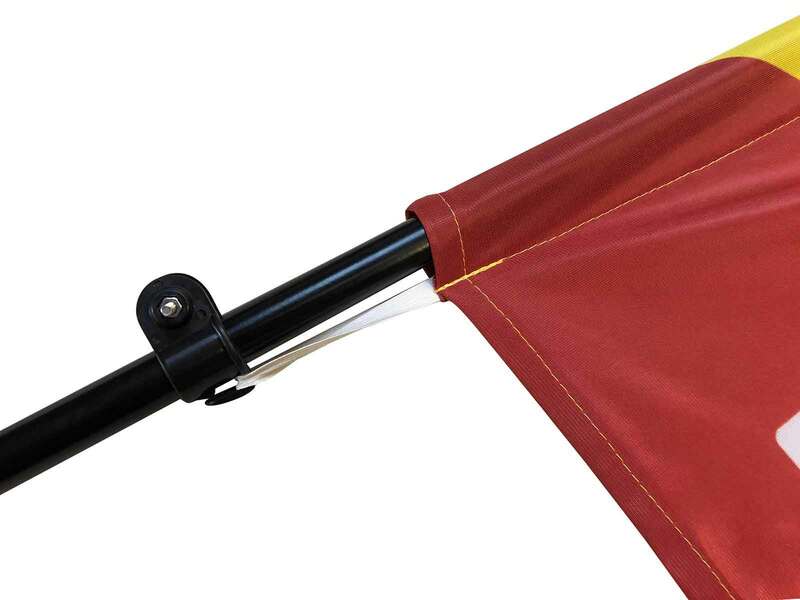 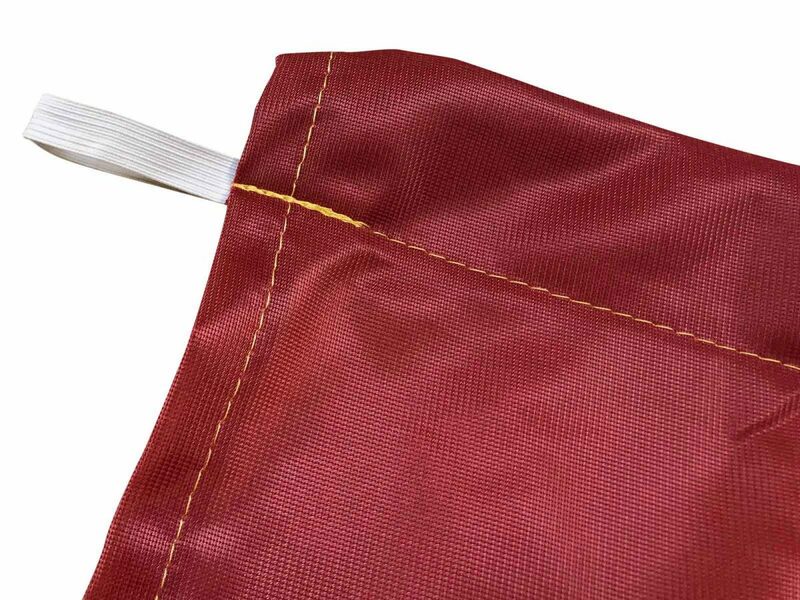 Quality finishing including reinforcing panels and overlocking stitching means that your flags will stand up to the elements. 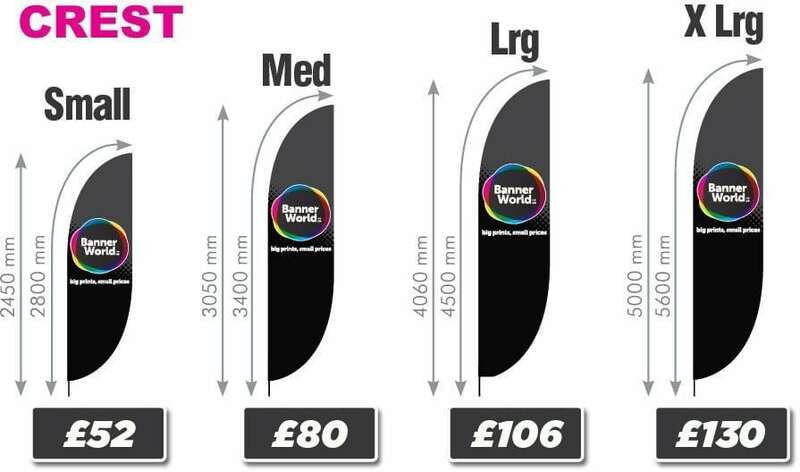 Choose from a range of sizes and shapes to suit your project. 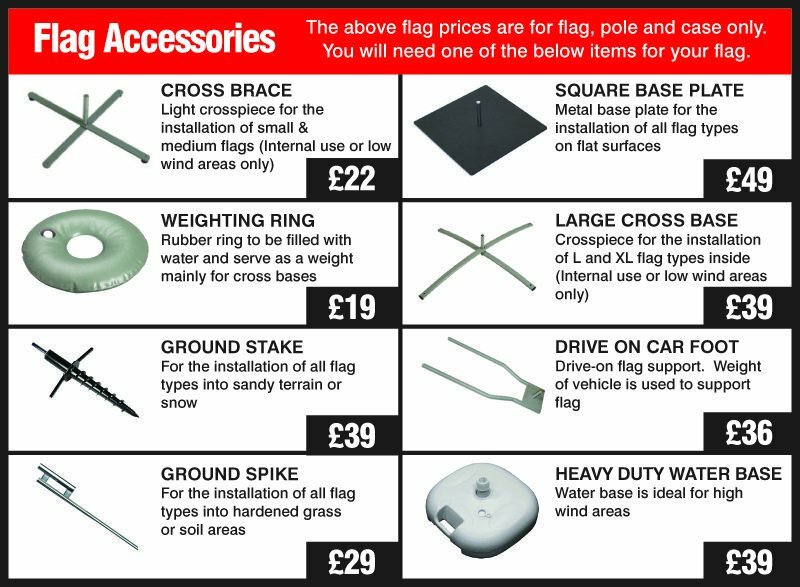 Bases include the popular heavy duty water-base, metal plates, spikes, stakes and the roll-on car foot. 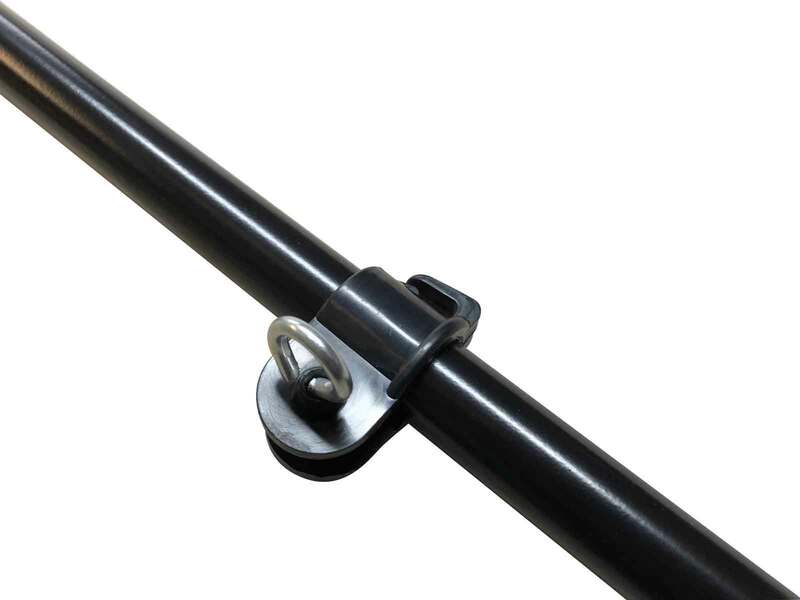 Quality alloy and GRP poles. 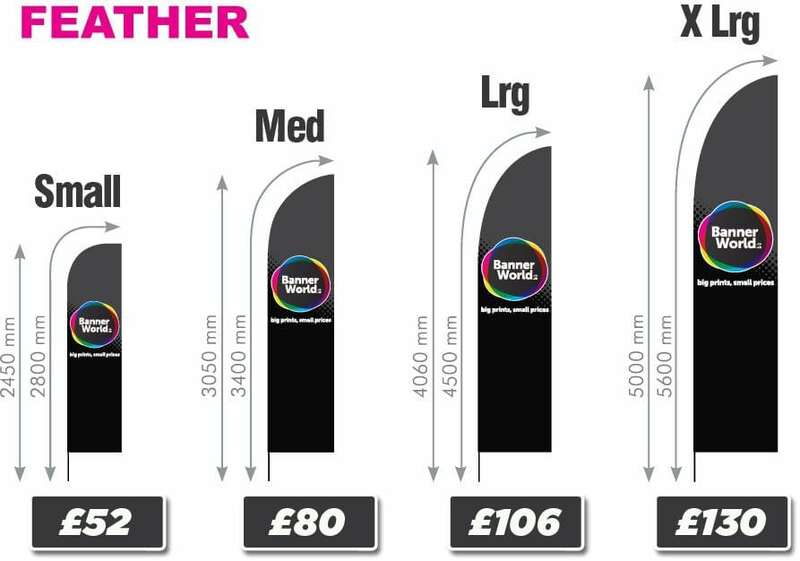 Wide choice of base options.